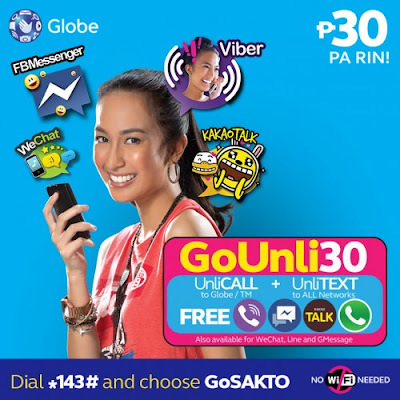 I'd GoBetter with Globe's GoUNLI30 because with it I could stay connected with my friends and family by using the latest messaging apps like Viber, Kakao Talk, FB Chat, WeChat, Line & GMessenger. It's great deal for a fraction of cost for a Social Media and Chat addict like me. 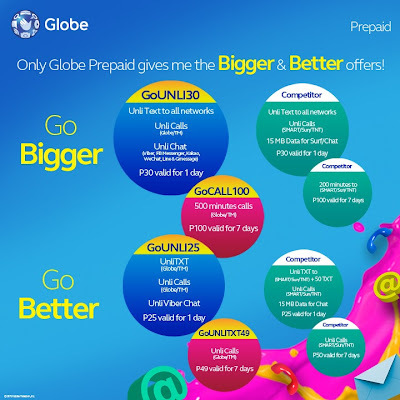 - GoUNLITXT49 gives me the same UNLI texts to Globe/TM at a BETTER prices VS Competitors offer. 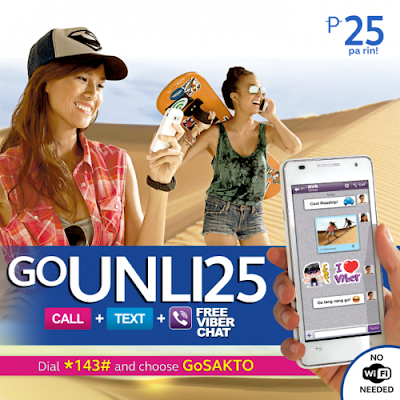 – With GoUNLI25, I get real unlimited service w/ unli Globe/TM calls and texts, plus unli Viber chat to the rest of my friends. It’s the real deal compared to competitor’s UNLI offer. 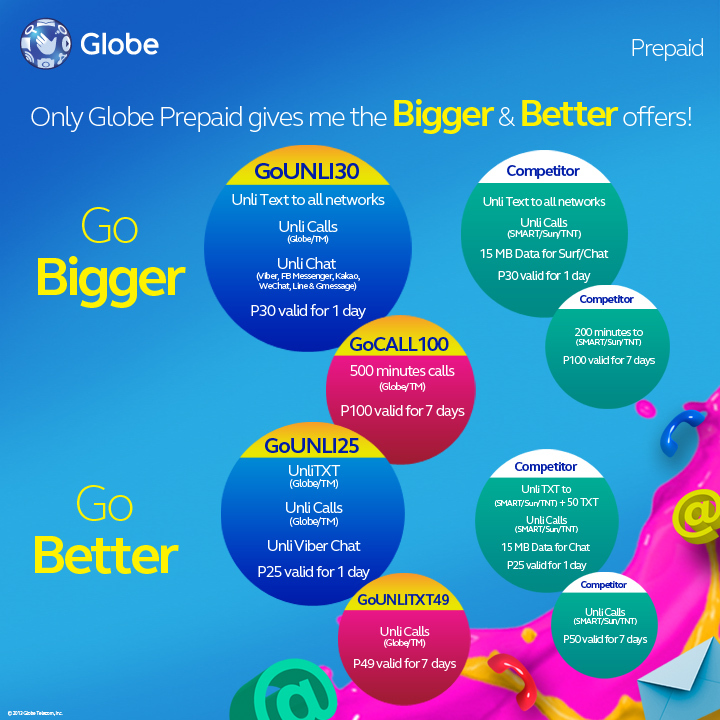 Why settle for anything else when you're in good hands with Globe?